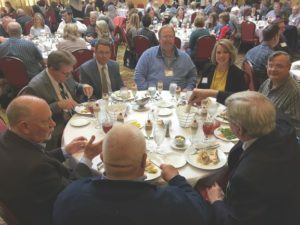 Special District Risk Management Authority (SDRMA) held their 2019 Spring Education Day. GM Tim Shaw, Director Mary Harris, and Director John Ridilla was among the attendees. The Districts SDRMA members who attend the Education Day are eligible to earn credit incentive point which helps the District reduce their annual contribution amounts for both Property/Liability and Workers’ Compensation Programs.